Got this message a while back, but still no boat name. What's your suggestion for this guy? No ideas here yet, but sounds like he'd be fun to fish with! Divorced 33yr old aircraft manufacturing manager. Work takes 60hrs a week - very busy. 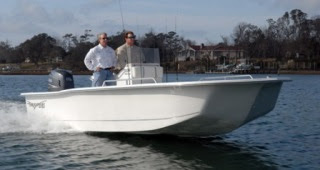 Buying a small boat to just get in and out of the water during the limited free time i have and enjoy the SC coast. Wing Nut (Borrowed this one from a customer of our BoatNameGear store - he's a pilot in CT.
boat stripes australia said , how about thirsty work.